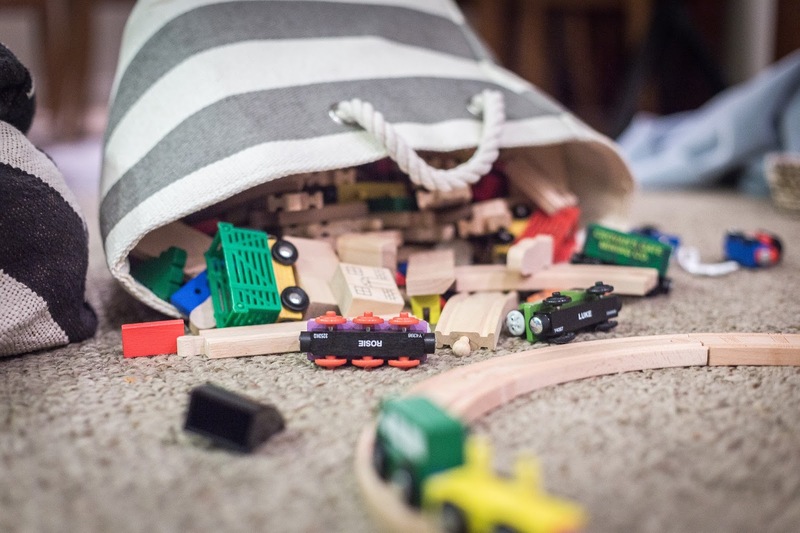 If you notice your kids have some toys or craft supplies they don't play with anymore or have outgrown, I recommend packing up and hiding those toys for three to six months. If the kids haven’t asked for them, then they’re already packed up ready to go to donate. You can put a sticky note or a piece of tape on the box or bin with the date so you know how long it’s been sitting. Maybe label what’s in each container, so if the kids do ask where a specific toy is, you can easily grab it. It's important to ask the kids and get their input to see if they're still interested in a toy. 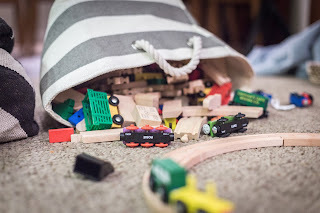 Sometimes the kids are ready to let go of toys before Mom or Dad are. Mom and Dad certainly get the final say, but sometimes the kids' responses might not be what you'd expect!